The Morehead City Waterfront in Eastern North Carolina rests on Bogue Sound and the Intracoastal Waterway, with an inlet to the Atlantic Ocean between Shackleford Banks and Fort Macon State Park on North Carolina's Outer Banks. Former North Carolina governor John Motley Morehead planned for the city to be a flourishing commercial port and fishing location-his dream has become a reality. The seaside town thrives on the sound and Intracoastal Waterway, offering visitors and locals a charming, dream-like place to savor a slower pace of life with the richness of the sea air. Visitors flock to the area to enjoy deep-sea fishing in the Gulf Stream, scuba diving to the many wreck sites just off the coast, dining at restaurants that offer famous shore dinners, shopping the many gift stores and art galleries on the waterfront, or just relaxing while watching the boats sail up and down the sound. 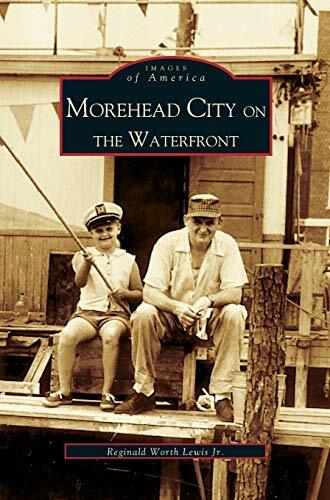 Morehead City on the Waterfront explores those nostalgic memories of days gone by and the town's unique location on the water. With over 200 black-and-white images, this volume showcases the waterfront in its glory during the 20th century. Many of the images are from the collection of local famed photographer and artist Reginald Lewis. His son Reginald Worth Lewis Jr. presents the artistic vision of his father that captured that era. Reginald Worth Lewis Jr. is also the author of Reginald Lewis's Down East.